Staff and participants in the week-long immersion experience held at the Pej Pem Center outside Palenque in rural Chiapas state, southern Mexico. 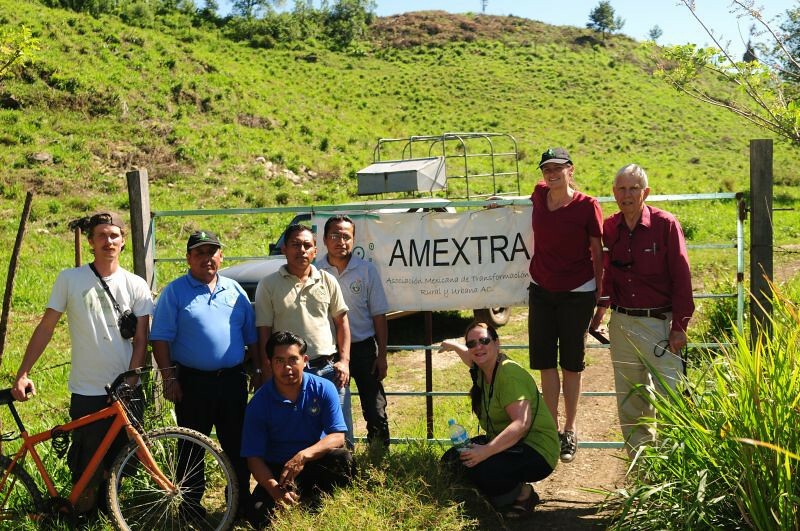 Pej Pem is an outreach of Amextra to small-scale farmers - demonstrating how sustainable farming practices can work. Pej Pem means 'butterfly' (signifying transformation) in the language of the Ch'ol people - one of several people groups in Chiapas of Mayan descent. The focus of the immersion experience, held in February 2013, was sustainable economics.